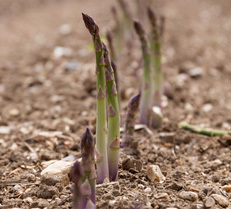 The asparagus is then trimmed to remove any white or toughness at the base of the stem and graded by thickness. We grade and pack by thickness to ensure that it cooks perfectly evenly. 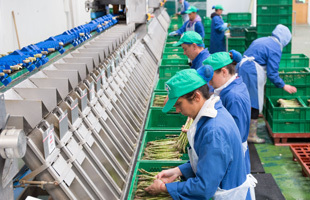 The spears are graded using the latest camera imaging technology. 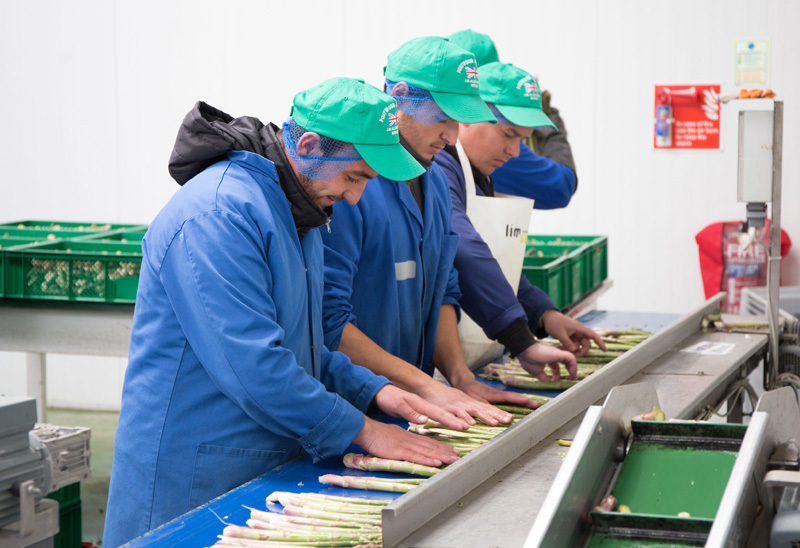 Our asparagus is predominantly bundled in 250g bunches, secured by rubber bands at the top and bottom of the bundle, finished with a branded wrap label with size and grade information. Sizes range from the thickest “Jumbo” (18mm+), through Extra Select (16-18 mm), Select (12-16 mm), Choice (8-12 mm) and Sprue (6-8mm). We also pack kitchen grade, which is mixed sizing 8-12 mm and 12-20 mm, and is just a little bit bent or slightly open-headed. 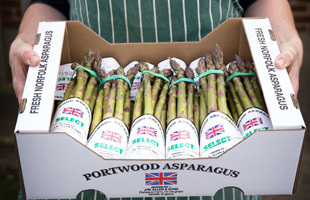 Our graded asparagus can also be provided ‘loose’ in 3kg boxes. 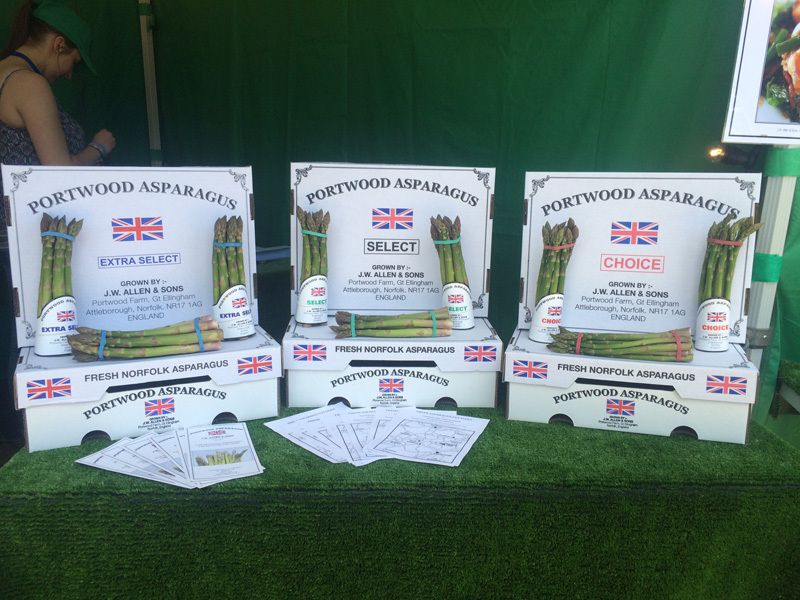 This is our standard and recognised packaging, but you can tell us exactly what you want and we can tailor our packing to your needs. 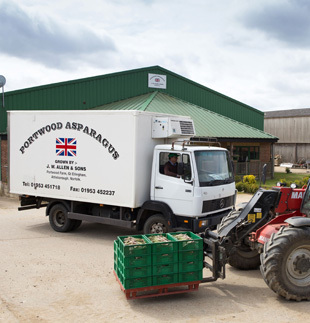 We run our own refrigerated lorry, as well as using a reliable national refrigerated transport company who work from their base in Lincolnshire 7 days a week. 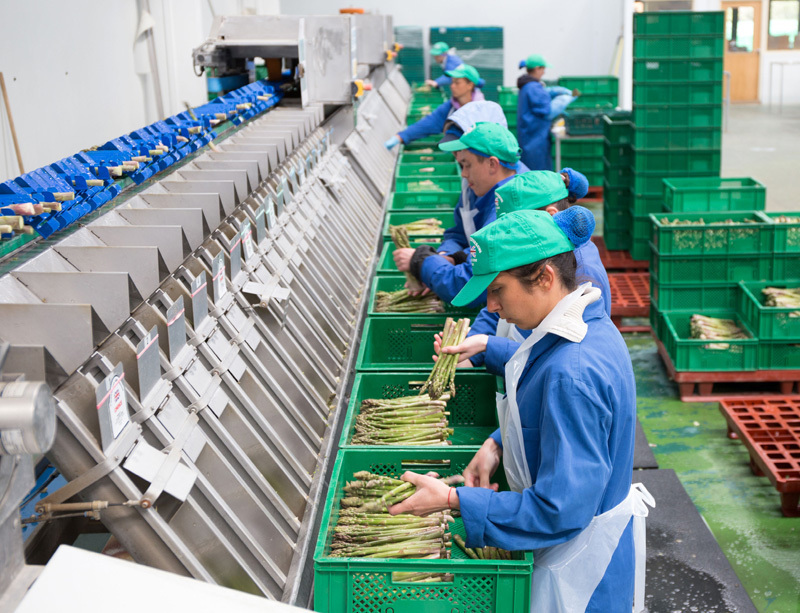 During the whole process, we ensure the temperature of our asparagus remains between 2° and 4°C to maintain its freshness. 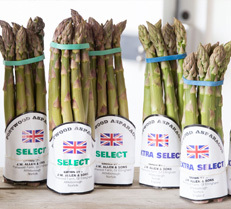 Once it has left our care, we ask customers to remember to store asparagus in a similarly cool place in order to enjoy it at its best. 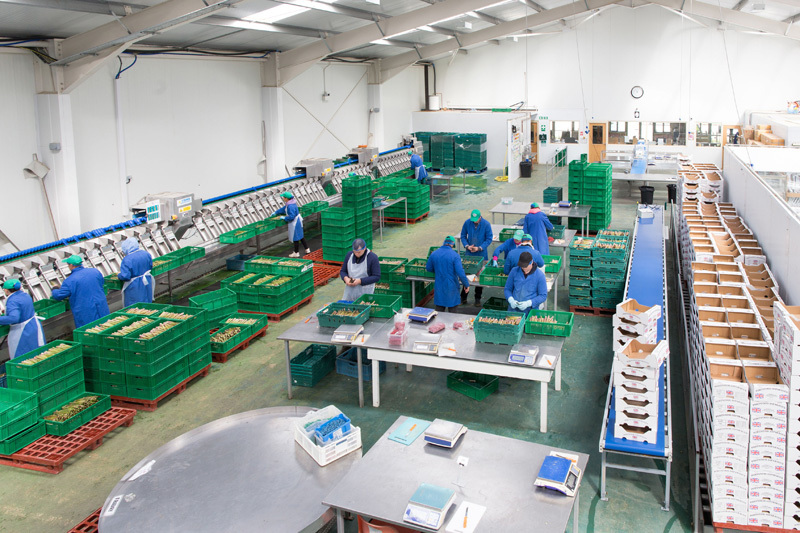 We pick and pack 7 days a week to ensure the highest levels of quality and freshness. 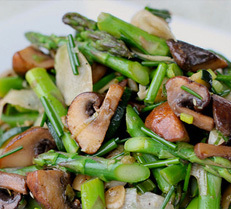 Coming Soon - Great ways to prepare, cook and enjoy your asparagus.